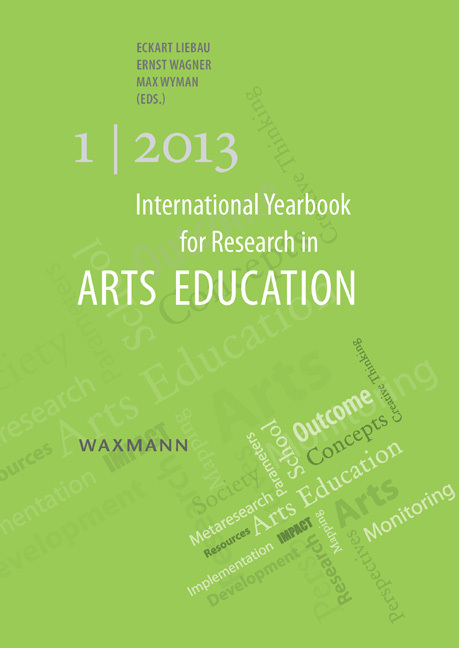 This Yearbook is the first in what is anticipated to be an annual series of publications by the International Network for Research in Arts Education (INRAE). It is designed as a forum for information sharing and discussion of issues arising from the adoption and implementation of the Seoul Agenda, the statement of principle and action that emerged from the 2010 World Conference on Arts Education in Korea and has since been unanimously ratified by the UNESCO General Conference. The Yearbook is intended as a living contribution to the international debate about quality in arts education. This first edition emphasizes short, contextual contributions that summarize recent advances made in this field, and establishes the parameters for ongoing discussion.